Someone was in a very Christmassy spirit this month. He was filled with holiday joy. Alloyed with the joy naturally brought forth by the Code, it's a powerful blend. What Agent am I speaking of, you ask? None other than Sasha Nyemtsov. You all know Sasha. You know his voice well. After his readings and homilies on the Code, and his long (but so rewarding!) trek through the Manifesto II, what could Sasha do next? The answer: A Highsec Christmas Carol, the text of which was posted last year on MinerBumping. Now Sasha has given voice to Scrooge and all the other characters from that wonderful story. 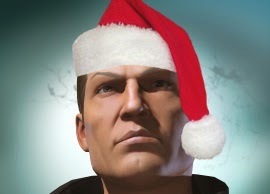 Head over to the Highsec Christmas Carol (Audio) article on TheMittani.com and have a listen. Here's the SoundCloud link, which I encourage you to share with anyone who cares about the Code--or doesn't! 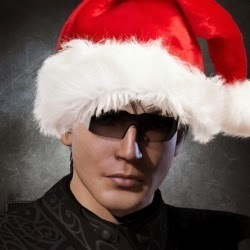 Spread some Christmas cheer this season by EVEmailing it to your gank recipients and linking it in highsec local chats. I'm sure more than a few highsec carebears will recognize that their own CEO is a Scrooge. another care bear sick after realizing the error of his ways. Some damn find work Sasha. if normal is sitting alone and grinding space rocks to make digital space money I never spend then I don't wanna be normal. So what's the Christmas gift for the players you hate the most? Sasha, drop whatever you are doing in life and become a voice over guy for pixlar, it pays well and you are gifted. Wow, this was an absolutely stunning reading of the story, especially with the voices and all. Nearly brought a tear to my eye (yeah, yeah, CODE tears). What Does PvP Stand For?